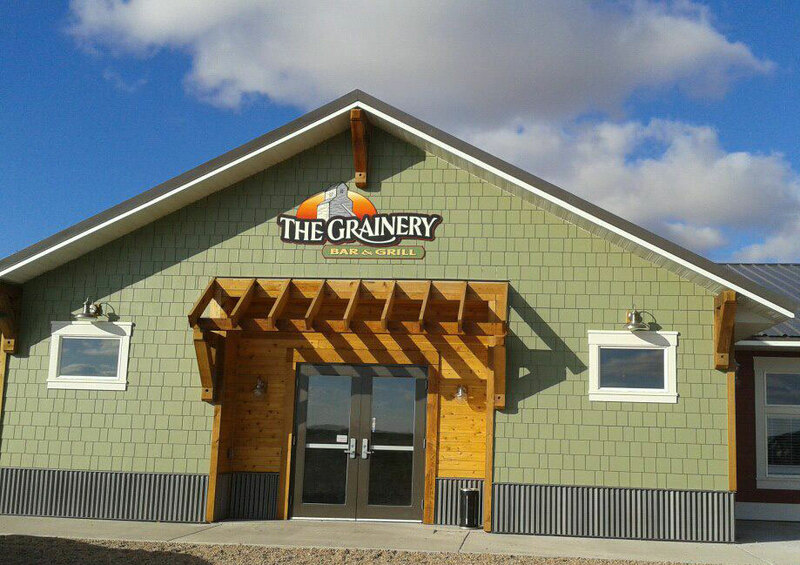 The Grainery, an Idalia, Colorado restaurant and bar, commissioned Brushwork to complete their building’s exterior sign. At first glance, the project seemed easy enough to Correll until further examination of the building reviewed a decorative beam that obstructed the building’s peak, making his original design unusable. Accepting the challenge, Correll designed a sign that fit within the unique space between the peak and front door. The mechanics of assembling the three panels together were complex requiring the use of small pins glued to the back of the larger of the panels and drilling matching holes into the remaining two. Correll additionally utilized scrap Dibond pieces to appropriately space the panels together. Brushwork uses a wide variety of signage materials with some signs requiring the use of multiple substrates. 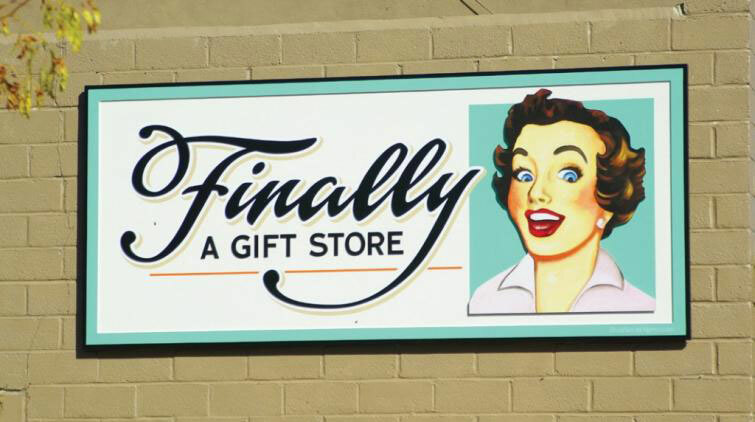 For a retro sign in Faribault, the Finally A Gift Store shop, Correll utilized MDO, PVC and Dibond aluminum composite. The hand-painted sign showcases the skill required in this lost art. 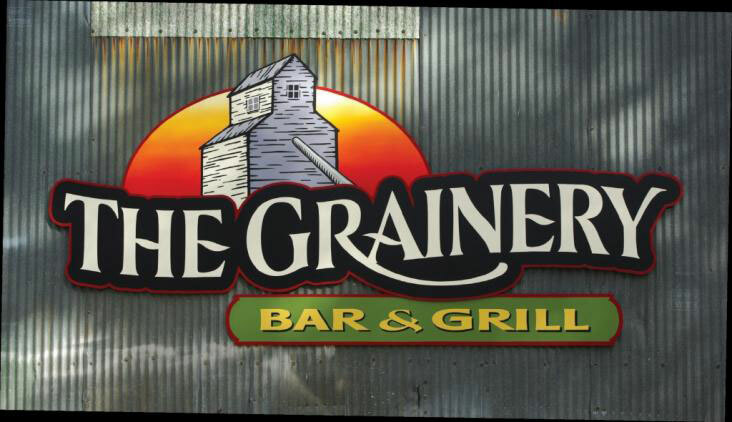 As with the Grainery sign, Correll used NovaColor acrylics for the female visual. Brushwork Signs was established by duo Ann Meillier and Dave Correll who attended the same Sign Lettering and Design program at Detroit Lakes Technical Institute. The couple married and established Brushwork in 1988. Adding another team member only a decade ago, Adam Scholljegerdes, Brushwork continues to inspire the next generation of artisan sign makers.